His heart rate shoots up a little every time someone approaches him to talk at a supermarket or on the street. And then there’s sweet relief when he realises that people are only being kind with words of encouragement. 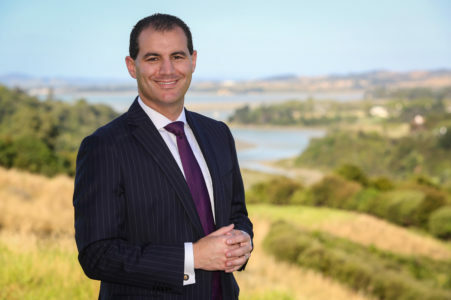 The beleaguered Botany MP Jami-Lee Ross has had a rough running since the free-for-all ugly political fallout with the National Party and his friend-turned-foe Simon Bridges, in October. He says that he is touched by people’s kindness and compassion towards him. “Even when you think that everyone is against you, you will find people who care for you. I have got so much strength and motivation from human kindness that I have been touched by and for that I am truly grateful,” he says, getting a tad emotional. Just three days away from attending the first day at Parliament, he openly admits that given a second chance, he would have done things very differently when he got into `flight or fight mode’ with Bridges. He now wants to make amends and work hard at rebuilding damaged relationships. “I am sorry that my personal life and falling-out with my political party has hurt not only my family and friends as well as people in my electorate who trusted me,” he apologises. He says he is not a quitter. “I am going to get back to being a local MP and champion local causes. I will work hard at grassroots politics. I will go back to basics and stay focused. I will be more accessible since I don’t have the obligation to travel to other MP’s electorates. People will see me a lot more now in my patch. My Botany office is now open. “I will prove to them what I am capable of and I do appreciate all the criticism that I have got. “Abbess Manshin of the Fo Guang Shan Buddhist Temple told me, ‘don’t just talk to people that you mean differently. Prove it to the people’. And that’s what I intend to do. “This has been a huge wake-up call. I have suffered a big life shock finding myself locked up in a mental health facility with a stainless steel toilet attached to it. That’s the time it hit me and I wondered how did I get there? Ross, who has done a lot of introspection, says he feels strangely liberated. “Since I am an independent candidate now and don’t have to think of any party policies or background in three seconds flat when I am being asked a question, I can be more honest. I have much more flexibility…can now talk to MPs of all parties and get things done. Admitting that in October he was driven by hate-fuelled rage he says he has learned from those around him that no amount of political point-scoring is worth hurting family, friends and constituents. “We all spend too much time fighting and bickering. Trying to analyse the reason why he reacted the way he did, he explains, “All my life I have been a fighter who had to fight for survival. I didn’t have a father and mother who looked after me and was brought up by my grandmother. I always had to fight and prove myself to people, to stand up for things I believe in. The same instinct to fight has helped me to be a strong advocate for people in the electorate. “I am now a big supporter of people who have mental health struggles and am going to show that there should be no stigma attached to it. “Just because you have cracked and been sectioned to mental health, doesn’t mean that you can’t achieve things. I will be the voice for people who have struggled with mental health.